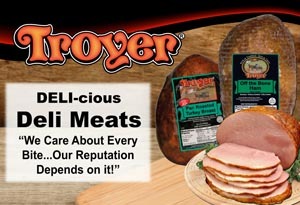 We are proud to carry deli quality meats from Troyer Cheese. Our deli counter offers custom slicing for seven kinds of DELI-cious meat. Call 620-662-2875 to place your order!